Our second Annual MRC Racing Series has concluded. We had 26 runners at the Bill Rodgers Jingle Bell Classic. The weather was pretty good, except for a little hail! After the race most of us gathered at The Burren for a few beverages. Many of us saw Bill Rodgers and some took a few snaps. I saw him as I was heading out. He was sitting right next to the front door with a table full of people hanging on his every word. He kind of looks like an elf! Thuy Dang and Mary O’Connell ran their twelfth race of the series and clinched the jacket! I know that they both made personal sacrifices to run these twelve races and they should be proud of their accomplishment. Stephanie Lawson ran her 11th race and is our second place winner. 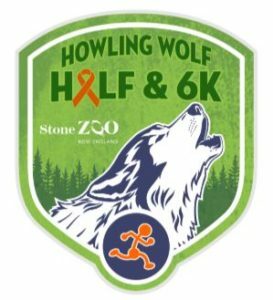 All three of our winners ran The Howling Wolf Half also. So no one took the easy way out. I came in third and Diarmuid Cahill came in fourth. Everyone else ran four or fewer races. Don Keren and I came up with the idea of a club racing series during a Tuesday night club run. I was excited about all of the great races I kept finding and said that it would be great if we could get more people to go to these races. I really wanted to encourage our new members to run races. Don said, why don’t you organize a series like other clubs do. This was in early December which gave me a few weeks to come up with a schedule and a January race. I picked the Great Stew Chase since it was later in January and we had a huge turn out. I’m not sure if the club participated in past years but we certainly made an impression in 2017! In 2017 The Series had 86 runners and a total of 178 race finishers. In 2018 we had about the same number of participants but had 188 race finishers. We are hoping that even more of you will lace up and join us in 2019. Nick Lamberti included a link to a Racing Series survey in one of his email blasts. We had about 25 people respond and I’ll be using this input as I develop the 2019 schedule. The survey said people were looking for more multi-distance races and 10Ks in particular. As I set up the 2019 schedule I’ll be looking for multi-distance events but will not be adding a marathon. The first race for 2019 will be The Great Stew Chase again. This is a great club event and I would love for all of you to come out and run this race. I have added the registration link on the MRC web site. Registration is $28 all-in. Not bad. 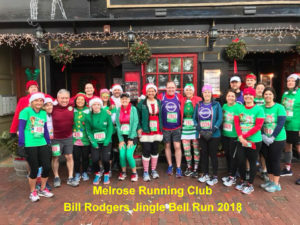 Please be sure to register under The Melrose Running Club. Our February race is The Super Sunday 5 Miler and 5K in Kendall Square. Judy Dolan has created a team for us, so please be sure to register under the club name. You can run either race and enjoy an awesome party with a band, hot food and cold beer. The MIT/Kendall T stop is just down the street, so no one has to drive. In March we will head over to Medford for The Running of The Leprechauns 5K. Many MRC runners participate in this race every year. The registration link is live, but I have not set up a team yet. 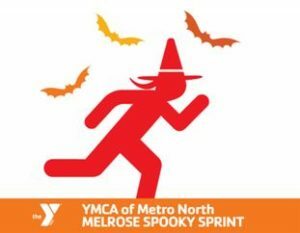 A lot of races have either not confirmed their date yet or registration has not opened. I will post more details on the 2019 schedule in January.